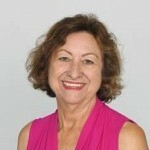 H. Virginia McCoy has served on the Florida International University faculty for over 25 years. She is Doctoral Program Coordinator, Department of Health Promotion and Disease Prevention, Robert Stempel College of Public Health and Social Work (RSCPHSW), teaches masters and doctoral students, and is a contributor to local public health endeavors. Her past administrative responsibilities included Associate Dean for Community Health Engagement and Academic Affairs for 4 years and Department Chair of Public Health for 6 years. In her roles as Associate Dean, she formalized partnerships with many community agencies and matched faculty with community organizations for research and service activities and coordinated the 2007 successful Council on Education for Public Health (CEPH) accreditation activities as the graduate program achieve school status. In her role as Department Chair, she led initiatives to develop a doctoral program, online graduate certificates, an online degree and CEPH accreditation. Her current research accomplishments include directing the Florida site of the Puerto Rico-Florida Public Health Training Center in collaboration with the University of Puerto Rico Graduate Program in Public Health. She partners with other PHTCs in Florida, the Department of Health and South Florida public health departments providing professional training to public health workers in South Florida counties to achieve competencies necessary for today’s public health systems. She recently concluded a NIAAA RO1 grant to study HIV prevention among migrant workers in Immokalee, FL. She has numerous publications in peer-reviewed journals and has made national and international presentations on her research. She was recognized nationally in 2006 by the Association of Prevention Teaching and Research with the Marion Bishop Educator of the Year Award. She is a founding board member of the Miami-Dade County Public Health Institute which evolved into the Florida Institute for Health Innovation.